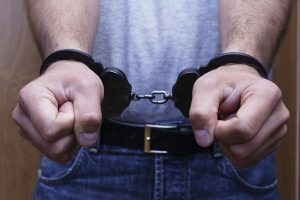 When you have done something against the law leading to your arrest in Phoenix, keep in mind that whatever your statements or actions are after the arrest can be used against you in court later on. They can also impact your chances of getting convicted or not. So be polite to the arresting officer and follow the direction, remain calm, do not make any statements about what lead to the arrest and ask to speak to Robert A. Dodell, Attorney at Law, to assist you through every stage of your criminal charge. Before you get arrested, expect the arresting officer to inform you of your Miranda rights, which in essence is the right to remain silent and to be represented by a lawyer. Hence, it is best to not explain anything and to not volunteer any information to the arresting officer as these may be used as evidence against you. When questions are asked without being informed of your Miranda rights, your statements can potentially be suppressed by the court. Criminal defense lawyer, Robert A. Dodell, can file a motion to suppress for the purpose of preventing your statements from being used as evidence against you. A lot of things can happen after your arrest that can influence whether or not you will be convicted. Whether you are charged with a misdemeanor or a felony, it is important for you to know the process and get the best lawyer to help you with your case. Once you are brought to the police station, an officer will take you to a detention area. Your possessions will be collected and stored by another officer, and you will be given the opportunity to contact a lawyer or to inform a family member or a friend that you have been arrested. Through this, your family can get you legal representation and can prepare for the expenses connected to your arrest such as court fees and bail bond. Afterwards, within 24 hours from your arrest, you will be arraigned. What takes place during arraignment? An arraignment is the first formal appearance in court. You will appear before a magistrate who will inform you of your charges, advise you of your rights, determine probable cause, let you plead guilty or not guilty and decide in accordance with law on the conditions of your release. Robert A. Dodell, Attorney At Law, can represent you during this crucial stage where your release conditions will be decided upon. You can be granted release on recognizance or on posting of a bail bond. The amount of bail set by the judge depends on several factors, including the seriousness of the charge and your criminal history. After the arraignment, another hearing date will be scheduled for the pre-trial stage. This is the hearing where the State and the Defense Attorney exchange information prior a potential trial. Your criminal defense attorney will get the police reports from the prosecutor. The prosecutor will typically give the criminal defense attorney a “plea offer”. You decide the direct of the case, with the assistance of your attorney. The case can proceed to a trial or a “plea agreement”. Do not worry about going through any of these stages alone. 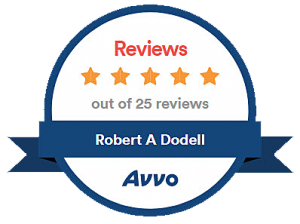 Contact Robert A. Dodell, Attorney At Law, and ease your mind. Getting an attorney immediately after your arrest is advantageous as you will have someone assist you during bail hearing, someone who knows the intricacies of the law and court procedure, and someone who will diligently work for your case’s success. For more information, do not hesitate to call criminal attorney Robert A. Dodell.